Breathtaking landscapes and pure nature! Poggio del Fattore has been the centre of an olive growing estate, with a farmhouse also used as an hunting lodge, for many centuries, until the current owners fell in love with the old house and its splendid panorama, purchased the property and turned it into an inviting country retreat. Recent restoration sought to preserve the original structure while bearing in mind the needs of our guests, who will find here all the comforts they need for an authentic experience of rural Tuscan life, among the Chianti hills and cities of art. The owners deeply wanted to maintain the traditional production of olive olive, together with a small production of honey; the guests can taste both the products during their journey. Poggio del Fattore is situated in a little green valley at the eastern edge of the Chianti region, Valdambra and lies at the end of a long, private road through a large olive growing estate in the middle of the hills, but with easy access to the most famous Tuscan towns (60 km far from Florence, 45 km far from Siena, 30 km far from Arezzo). The farm is characterised by a series of stone terraces deliberately built to delimit the areas around the house and the swimming pool and further enhance the breathtaking view of hills, olive groves, towers, churches and villages scattered over the surrounding landscape. 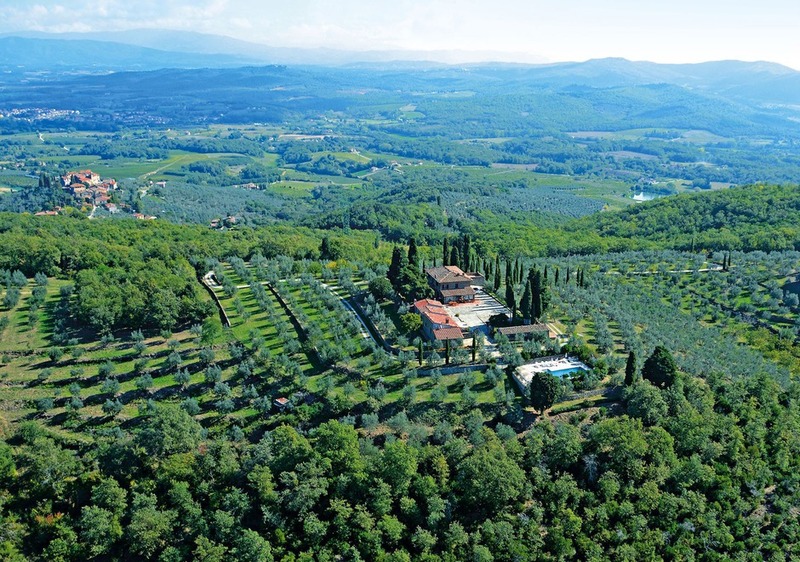 The breathtaking landscapes and the location of the farmstead, surrounded by nature, therefore offer the privacy needed for a peaceful and relaxing holiday and a perfect departure point from which to explore central Tuscany.